one thing every closet can never have too many of, is the iconic little black dress. it’s a versatile piece that can transform from classic to glam, making it perfect for all occasions. add a fun sparkle with your accessories and a bold lip for an all out glam look. or opt for a statement shoe [like this one]. it will add a fun change to your look. if it’s cold out, get creative with your jackets! make your little black dress pop with a daring leopard print. or perhaps go for a more classic blazer. 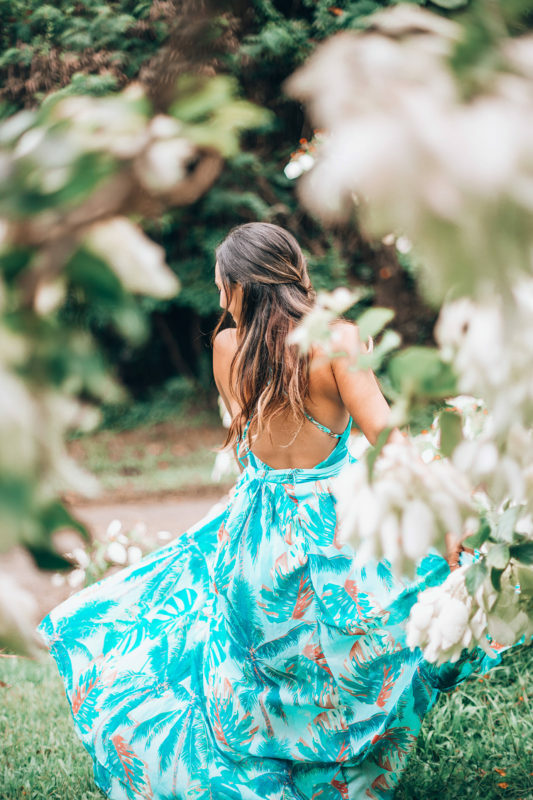 i can’t believe it took me this long to share this dress because it is hands down one of my favorites! also, i don’t think you can beat the price on it!! i wore this on the rainy streets of new york and felt like a million bucks the whole time. honestly, i forgot it was even raining! i was reminded after a stranger kindly shook off their umbrella a little too close, right before entering the coffee shop right next to me. good ole new york. somehow that little incident didn’t phase me, i fell in love with the city and am still on the campaign train to move there next. 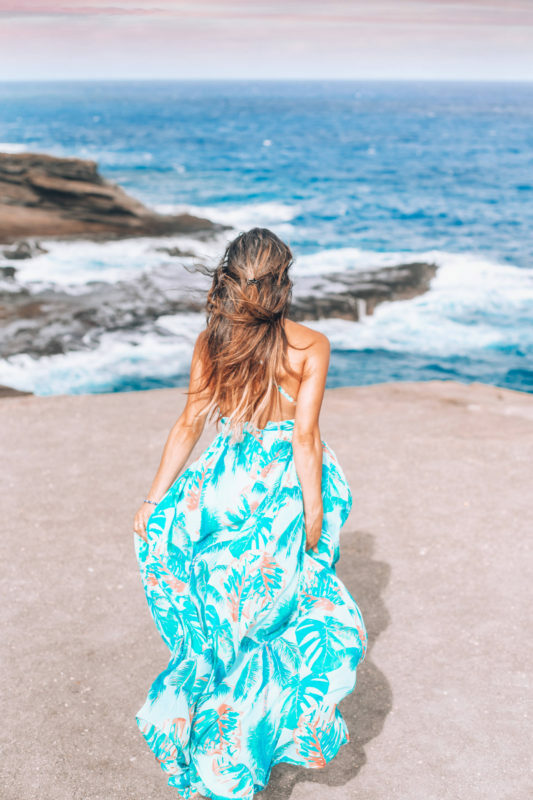 for as long as i can remember, i have always wanted to travel to hawaii. crazy enough, we planned this trip only 4 hours before before flying out. not quite how i imagined it going, but i wouldn’t have changed a thing! 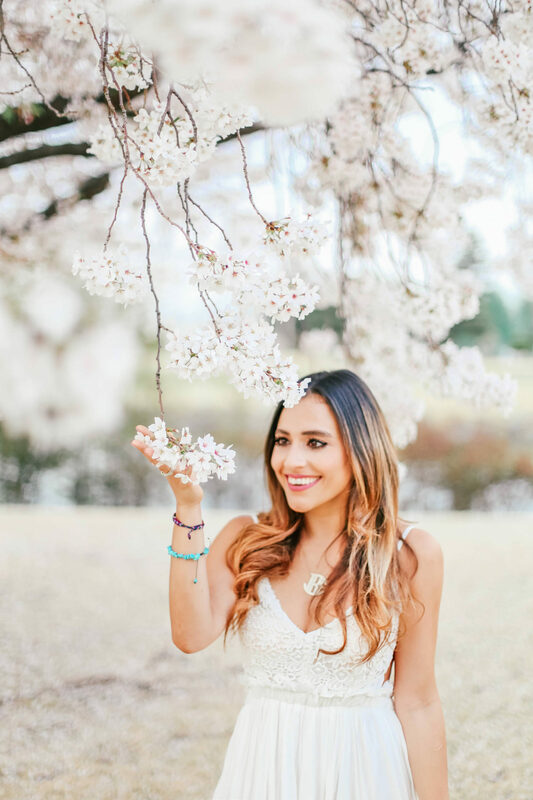 this was my first time ever seeing cherry blossoms and i can proudly say, they live up to the hype! the trees and ground were covered with what looked like snow, but felt like spring. does it get any better than that?! 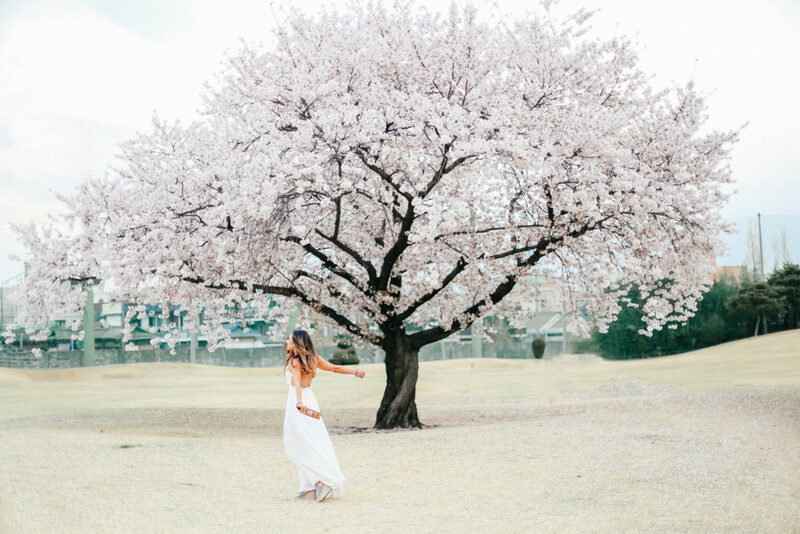 simply put, cherry blossoms are magical. so magical that if you blink, you’ll miss them. 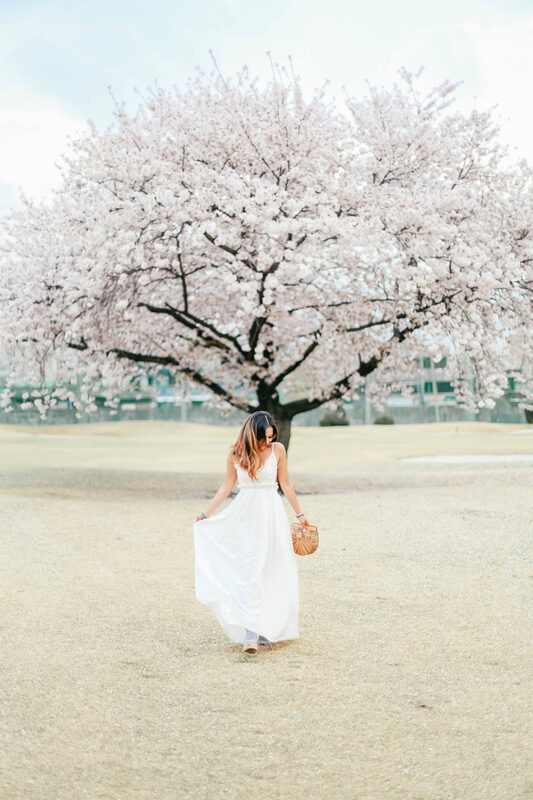 the day after this photo was taken, we had one day of rain and that was sadly the end of cherry blossom season 2018. just like that, the cherry blossoms were washed off of the tree branches and onto the floor. 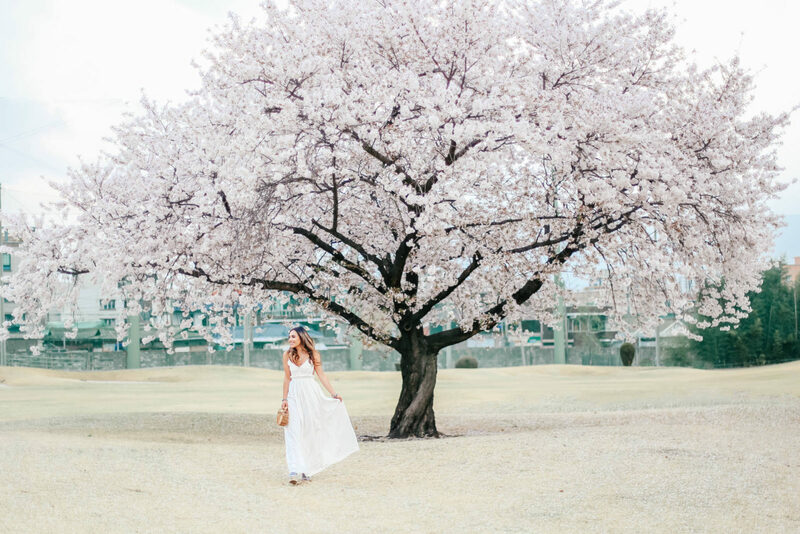 so i’m thankful i spent the day prancing around in this gorgeous white, flowy maxi dress while staring in amazement at the wondrous cherry blossoms before mother nature swept them away. one of my favorite sales of the year just started and will continue through 09/29/17. you can save 20-25% off on tons of affordable and designer pieces at shopbop. some of these are brands that never go on sale, so take full advantage if there’s something you’ve had your eye on. for orders under $500 use code EOTS17 at checkout to take 20% off. for orders over $500, use the same code, ETOS17 to take 25% off. number eight is my favorite leopard print clutch that everyone loves. number four and twelve are the perfect shades of fall and the sleeve ruffle on number eleven makes it impossible to pass up! shop some of my favorites below or click here to shop all of my picks.